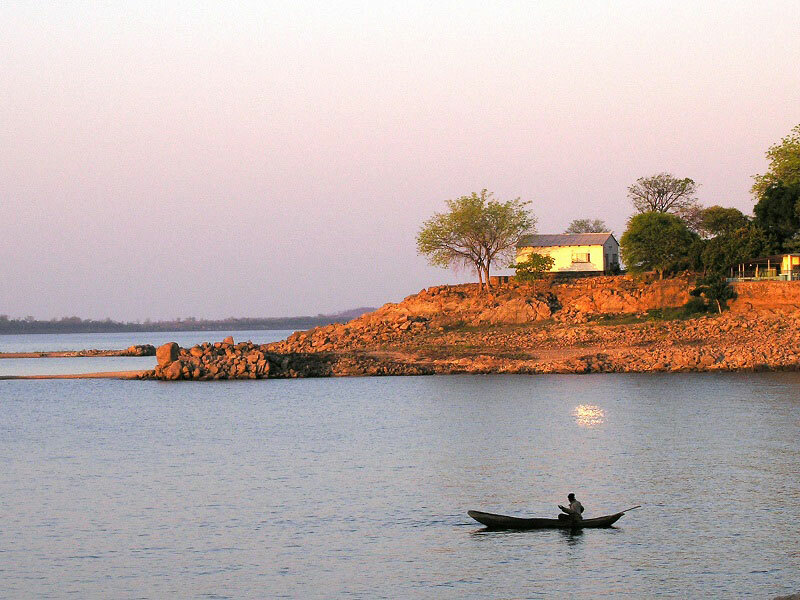 iavonga has become known as the ‘Riviera of Zambia’ as the town is spread out along the north bank of Lake Kariba and is host to holidaymakers, both local and international, all year round. 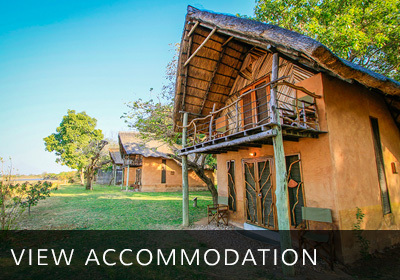 The ‘riviera’ image is enhanced by an affluent Zambian community that is developing as business people from out of town invest in holiday homes in the area. 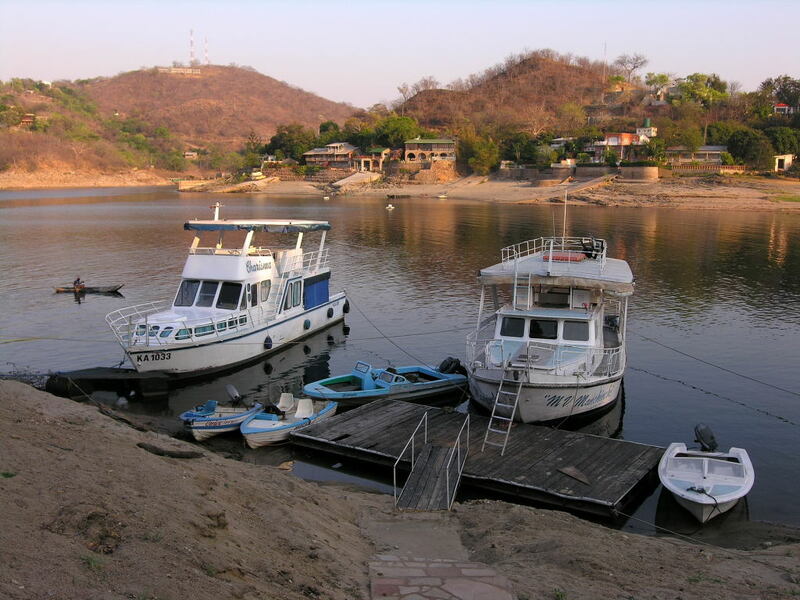 Tthe spectacular Dam Wall is nearby, which is also the Kariba border crossing into Zimbabwe. Only a two and a half hour drive on good roads from Zambia’s capital, Lusaka, it is both a popular weekend getaway as well as a conference destination for the Lusaka businiess community. 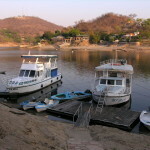 The Zambezi Valley is very hot in the summer months (October to March) but luckily cooled by the summer rains. IN winter it is warm – to cool and dry (April to September). 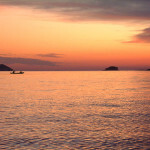 Although Lake Kariba is a vast water body (282 kilometres long, up to 100 metres deep, covering 5500km2, and holding more than 180 billion tonnes of water), it is more correctly a dam, as the water is held back by a huge dam wall (128m high and spanning 617m across the Kariba Gorge). It is the largest man-made reservoir in the world. This engineering feat was completed in 1959 when the Zambezi River was dammed in a joint electricity-generation project between Zimbabwe and Zambia. Between the two Powerstations on the north and the south banks of the Zambezi River, 1300 megawatts of power can be generated, making it an important resource in the region. A welcome by-product of this construction is the associated tourism industry. 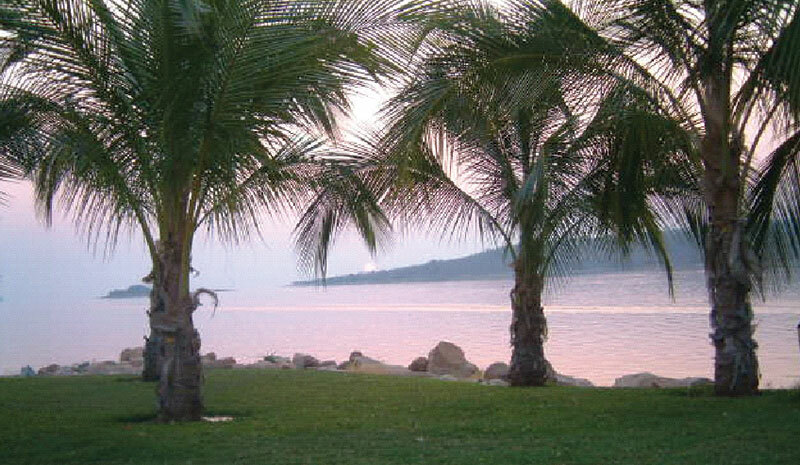 Siavonga is a popular destination for both local families and international tourists. 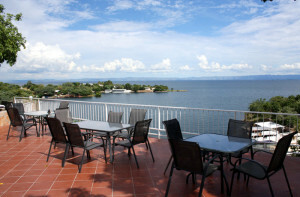 There is also a developing business market as more companies have their conferences and team-building outings in the comfortable and conducive facilities along the Lake. Photographers and artists are enthralled by the creative opportunities offered by this inland ocean. There is not much big game on the Zambian side of the Lake except for the Hippo and Crocodile which are frequently seen, making swimming in the Lake a dangerous activity and an adrenaline sport for the courageous. 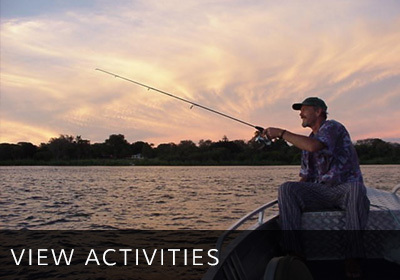 There is an exceptionally rich birdlife associated with the Lake, as well as being host to over 50 species of fish, including the Tiger Fish, Tilapia, Nembwe, Vundu and Barbel that grow into massive specimens in this enormous water body. It is apparent to an outsider that the women do all the work and the men drink all the beer. There are exceptions of course, but it is the traditional domain of the women to raise the family and tend the fields and for the men to do nothing in between hunts. Life is hard in remote villages with little access to food and water. Water and firewood must often be fetched from considerable distances. The Tonga are a social people, sharing chores and problems and communicating for hours on end. Traditional healers play an important role in the community. They administer herbal and other plant remedies to the sick of mind and of body. Many treatments involve the exorcism of a malevolent spirit. Villagers have an awe and respect of traditional healers because of their apparent supernatural powers. There are clinics in the area but these are badly under staffed and most have few medicines. Half of Zambia’s population of 14 million is said to be under 18 years old, with only a small percentage of rural children completing primary school. Rural women often have between 6 and 12 children, and the cost of schooling them all is usually beyond the reach of most families. The traditional large family is still seen as an insurance against hardship in old age, even though this compromises the family’s standard of living in the short term. Tonga people are generally very warm and friendly and joyous greetings are exchanged, and even conversations engaged in over great distances. There is a tradition of offering visitors a gift as a sign of respect. Gifts or money are received with both hands whilst expressing thanks and are never refused. In 1956 the Federal Government of Rhodesia and Nyasaland (now Zambia, Zimbabwe and Malawi), awarded the tender for the construction of the dam wall and power station to the Italian consortium of Impresit. Kariba Dam Wall was designed by the French engineer and specialist in arch dams, Andre Coyne. Over a million cubic metres of concrete was poured into the 36.6 metre high, 24 metre thick wall. The construction had to be engineered to cope with a flow of approximately ten million litres of water per second. The dam took four years to build between 1956 and 1960. On the 16th of May 1960, the Kariba Dam was officially opened by Her Majesty Queen Elizabeth the Queen Mother of Britain. At the end of the project the sluice gates were closed and in 1963 the dam reached its capacity of 180 billion cubic metres (= 180 cubic kilometres, = 180 billion tons of water). The weight of this water is believed to have caused the increased seismicity in this area since 1960. 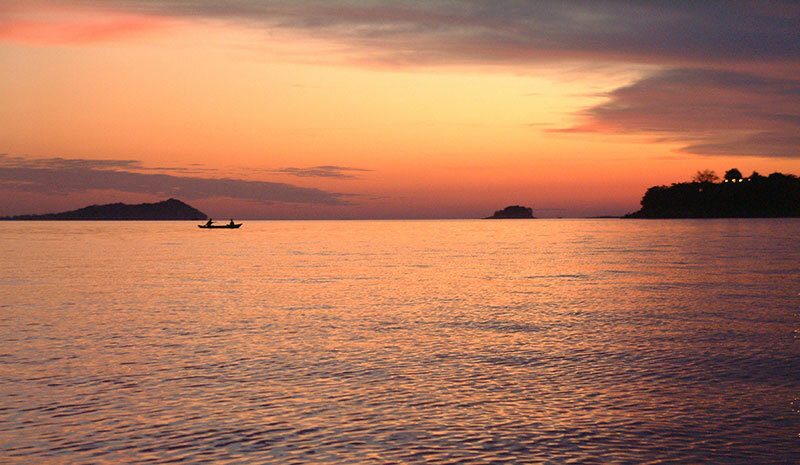 Now called Lake Kariba, this water body is by volume the largest man-made reservoir in the world. It is over 200 kilometres long, up to 40 kilometres wide and 100 metres deep and has a surface area of over 5500 square kilometres. Of the difficulties to overcome, the local resistance to the project was considerable, believed to be against the wishes of the local river god Nyaminyami. Legend The legend of the great river god Nyaminyami relates that a particular rock on the swirling River’s edge, at the entrance to the Kariba Gorge, where the Dam wall was built, was where this deity lived. This very practical legend tells how Nyaminyami would cause anyone who ventured too close to the River’s edge to be sucked down into the depths of the River forever. During construction of the Dam the locals believed that Nyaminyami was displeased and that all the many accidents causing delays to the project were directly due to Nyaminyami. The name Kariba means trap, and this refers to Nyaminyami’s trap of unsuspecting people as well as the trapping of this vast water body. The legendary rock is now buried more than a hundred feet below the water surface, and today carvings of the Nyaminyami symbol, representing this rock, are sold as accessories and tourist trophys. As the dam began to fill, thousands of animals were stranded on islands soon to be inundated. Appeals were made and money was raised to buy boats and equipment and Operation Noah began their rescue and relocation. The mammoth task of rescuing over 7000 animals, including 44 Rhinoceros, was fraught with the difficulties of dealing with huge concentrations of snakes, including the deadly black mamba. The Kariba dam wall hydroelectric scheme is one of southern Africa’s most important electricity generating stations, producing up to 1300 megawatts of electricity, making the area ideal for industry. 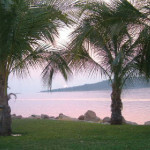 Most of the industry in Siavonga is dependent on the lake. Kapenta fishing (a type of sardine or sprat) is hugely important to the area. Kapenta is one of Zambia‘s staple high-protein foods and there are many commercial Kapenta fishing companies in Siavonga. Commercial bream fishing and crocodile farming are also carried out on the Lake. Crocodiles are bred for the leather which is exported for fashion accessories such as shoes, belts and handbags. The crocodile tail also provides an exotic culinary delicacy sold to hotels and exclusive restaurants. Siavonga has a developing quarrying industry with the cutting of natural stone into tiles. Uranium has recently been discovered in the district and it promises to bring new prosperity to Siavonga. Oral tradition places the Tonga people in the area, in what was known as the Gwembe Valley, now the Zambezi Valley, for centuries. Archaeological evidence has uncovered the existence of human habitation along the river for at least the last 900 years. The people planted their crops in the fertile soil on the banks of the Zambezi River and hunted wild animals to supplement their diet. Prior to David Livingstone’s mission in the area in the 1850s, the Tonga were at the constant mercy of slaving parties and wild animals. For the century until the mid-1950s they lived in relative peace with very little influence from outside. By the mid-1950s life changed indelibly with the decision to build the Kariba Dam, and another chapter in Tonga history began. When the Tonga people heard that they were to be moved from their tribal lands and the great Zambezi River was to be blocked, they believed it would anger the river god Nyaminyami so much that he would cause the water to boil and destroy the white man’s bridge. In 1957, a year into the building of the dam, the river flooded, destroying equipment and access roads. The very next year another even bigger flood occurred, this time destroying the access bridge, the coffer dam and parts of the main wall. This was the cause of much labour unrest on the project. Over 50 000 mostly Tonga people, had to be relocated, in some instances forcibly by the army. The move was a severe disruption of their way of life, and there was minimal compensation. The building of the Dam also separated the Tonga tribe with some of them now living in Zimbabwe. Dispensation has been made to allow relatives to visit each other across the border needing only cursory approval from the Immigration Offices. Today most of the Tonga live as subsistence farmers, and those living close to the Lake supplement their diet with fish. Wealthier families possess herds of goats or cattle and some plant small fields of maize and cotton. Poverty and disease remain a constant battle for every family. Water must be fetched from boreholes or wells or even from the Lake itself. Most families in the rural areas live in mud and thatch huts in small villages (usually extended families together) without electricity or running water. 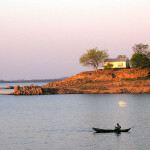 Many villages are in isolated, rural areas along the Lake and are only accessible by foot or by boat. The roads are often in a bad state of repair, especially after a good rainy season. The rural infra-structure remains poor and under developed. The Tonga culture is steeped in ancestral worship and occult practices led by a shaman, or witch doctor. These practices were deemed by the early white colonists as witchcraft and frowned upon, even outlawed, as being anti-Christian, and this has been a severe disruption to the Tonga trradition. Initiation ceremonies are held for both girls and boys. Girls are eligible for marriage from the age of 14 or 15. Lobola, the bride price, is practiced as a token of appreciation to the parents of the girl, often placing a great financial burden upon the husband, who often has to pay off the lobola over many years. Funerals are also big occasions in the villages and grief is shown by wailing and singing and the beating of drums. The men sit outside during the funeral and the women crowd inside the house of the deceased. Family and friends pay respect and to show their condolences by contributing food or money towards the funeral ceremony. The spirit of the deceased must be appeased and the ceremony ensures that it is happy and at rest. If the husband who has died has a brother, he will often take on the widow and children as his family. Polygamy is still practiced although it is usually only the chiefs and headmen who are wealthy enough to support more than one wife. Commitment to a marriage partner is not considered a priority. This and the current tradition of migrant work has resulted in AIDS and other STDs being prevalent in Zambia.